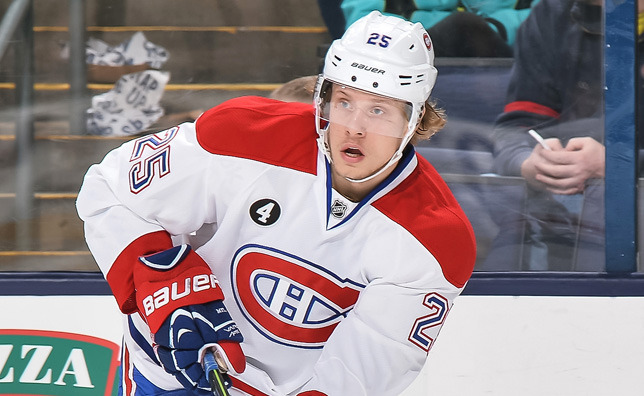 MONTREAL – Nearly three months after undergoing wrist surgery, Jacob De La Rose says his recovery is right on track. Back home in Arvika, Sweden, the 20-year-old forward has been hard at work all summer long rehabbing the injury and making the necessary adjustments to his workout routine leading up to the start of the 2015-16 campaign. That’s good news for the Canadiens’ No. 25, who made the jump to the North American ranks last season, spending the first four months of the year in Hamilton before joining Michel Therrien’s troops on a full-time basis and making his NHL debut in early February. With that in mind, De La Rose has split his training efforts in two, spending the majority of his time working out on home turf with specialist Erik Nordlöf, while also traveling 250 km to the town of Leksand, where he spent years honing his game before making the trek overseas. While De La Rose hasn’t hit the ice just yet, the talented youngster is adamant it’s par for the course, explaining that off-ice training is typically his primary focus until the month of September is on the horizon. Needless to say, De La Rose is eagerly anticipating the start of a brand new season, and the opportunity to impress the Habs’ brass once again on hockey’s biggest stage.